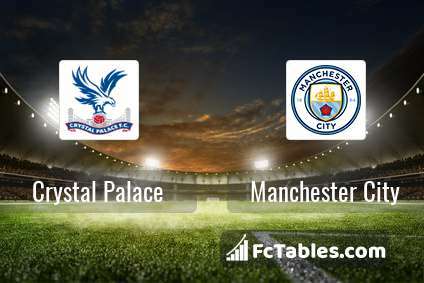 Kick off Crystal Palace-Manchester City in Premier League on today 13:05. Referee in the match will be Martin Atkinson. Team Crystal Palace is located in the middle of the table. (13 place). Form team looks like this: In the last 5 matches (league + cup) gain 9 points. In this season games Premier League the most goals scored players: Luka Milivojevic 11 goals, Wilfried Zaha 8 goals, Andros Townsend 4 goals. They will have to be well guarded by defense Manchester City. 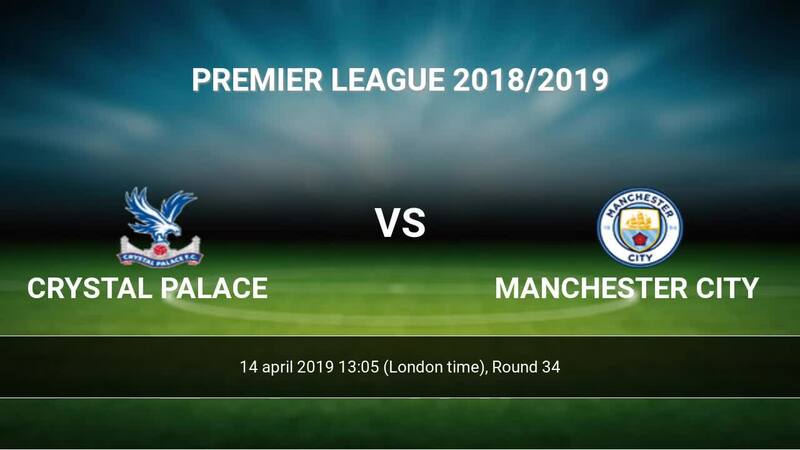 Players Luka Milivojevic 1 assists, Wilfried Zaha 3 assists, Andros Townsend 3 assists will have to be very well guarded by defenders Manchester City, because they have the most assists. Injured players Crystal Palace: James Tomkins, Mamadou Sakho. Team Manchester City is at the top place in the table (2 place). Manchester City in 5 last matches (league + cup) have collected15 points. From 8 matches no lost a match. Leading players Manchester City in Premier League is: Sergio Aguero 19 goals, Raheem Sterling 15 goals, Leroy Sane 9 goals. 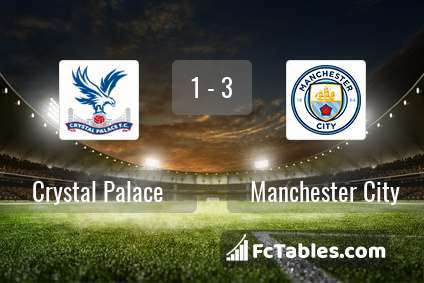 Players Sergio Aguero 7 assists, Raheem Sterling 9 assists, Leroy Sane 9 assists will have to be very well guarded by defenders Crystal Palace, because they have the most assists. In Manchester City not occur in the match due to injury: Claudio Bravo. Direct matches: Manchester City won more direct matches. 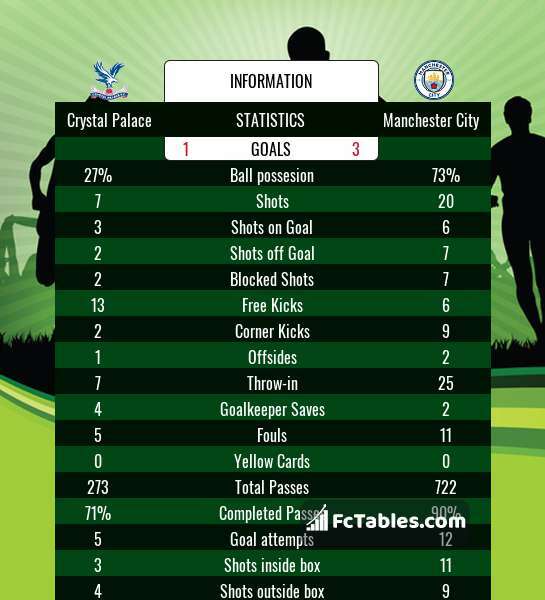 Crystal Palace won 3 matches , Manchester City won 14 direct matches, was a 2 draws. In 12 matches the sum of the goals both teams was greater than 2.5 (Over 2.5), and 15 matches teams scored more than 1.5 goals (Over 1.5). In 8 matches the both teams scored a least one goal (Both teams to score).